Airport Transfers From Kathmandu Airport to Hotel to Kathmandu Airport. All types of Taxes & Service charges, where not mentioned. Arrival at Tribhuvan International Airport ( Airport Code- KTM) . Meet with our Representative, Drive to Hotel In Kathmandu of 3 Star or Similar Category. In the Evening Small Briefing about Kailash Mansarovar Yatra. Dinner and Overnight Stay in Kathmandu. Note- The Hotels in Kathmandu are of 3 star or similar Category. •	Accomodation：Hotel 3 star or Similar on Double Sharing. After Breakfast, we will Proceed for the Full day Sightseeing of Pashupati Nath Temple, Buddh Neelkanth Narayan Temple , Syambhu Nath Temple. Return in The Evening, Dinner & Overnight Stay. •	Accomodation：Hotel 3 star or Similar on Double Sharing..
•	Transport : AC Luxury Coach. After Breakfast, We will Proceed to Rasuwa Ghadhi ( This is New Border in Nepal which is Opened for Tourist after Closing of Kodari to Enter China) Via Pasang Lhamu Highway, Rasuwa Ghadhi is a border crossing on the Nepal-China border 120 km away from Kathmandu. This Smallest District of Nepal Headquarter is in Dunche in the Bagmati Zone of Nepal. Overnight Stay In Guest House/ Lodge on Sharing Basis. •	Accomodation：Guest House / Lodge on Sharing basis. •	Transport : Non AC Luxury Coach, Except Sightseeing. Note- The lodges and guest houses in Dunche/ Syabrubesi/ Rasuwa Garhi are very simple and ordinary. After Breakfast, Proceed for Further Journey, At Rasuwagarhi we will go through the Process of Custom and Immigration Formalities. After Formalities we will cross Nepal. 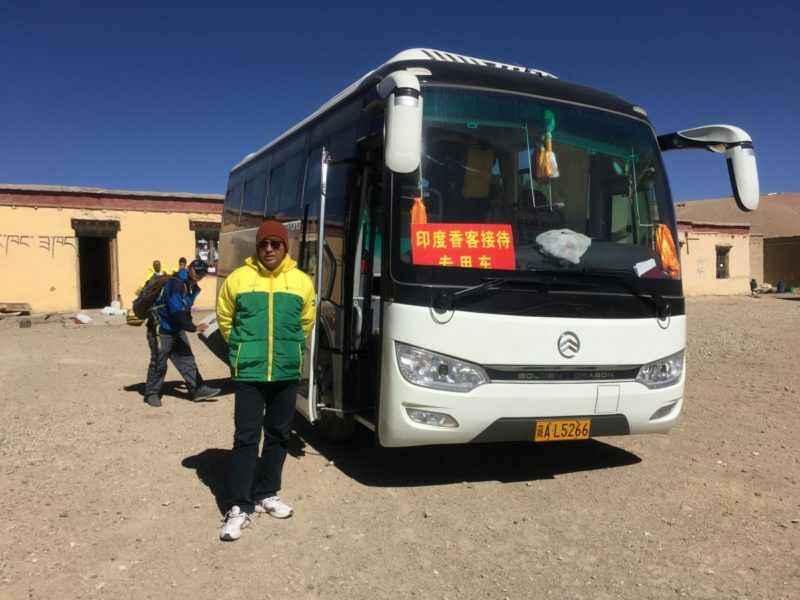 Now you are in Tibet ( Autonomous Region of China) Here you will be greeted by our Tibetan guide and driver, then you will drive up through the zigzag road to Gyirong. Here again we will go through the Process of Custom and Immigration by Chinese Authority. After formalities Check in into Guest House/Lodge. Rest of the Day will have Acclimatization. Note- The lodges and guest houses in Gyirong are very simple and ordinary. Today will Have Full Day Acclimatisation at Gyirong. 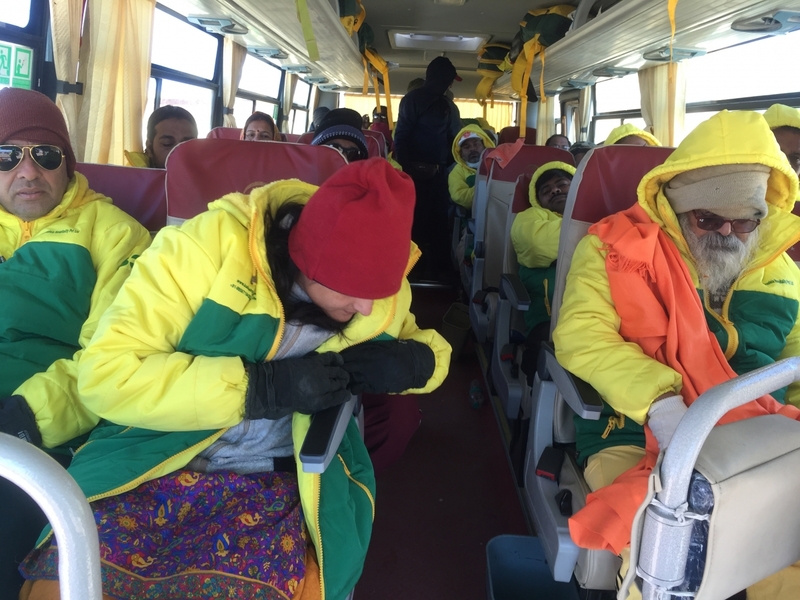 Meaning of Acclimatization– The major cause of altitude illnesses is going too high too fast. Given time, your body can adapt to the decrease in oxygen molecules at a specific altitude. This process is known as acclimatization and generally takes 1-3 days at that altitude. 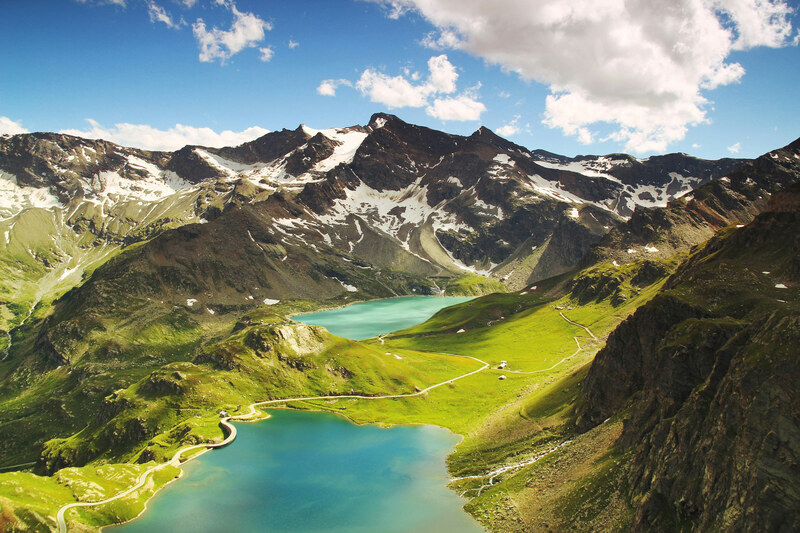 For example, if you hike to 10,000 feet (3,048 meters), and spend several days at that altitude, your body acclimatizes to 10,000 feet (3,048 meters). If you climb to 12,000 feet (3,658 meters), your body has to acclimatize once again. The depth of respiration increases. •	Toilet & Shower Facility- Common. After Breakfast, we will proceed for Zongba , which is on altitude of 4600 Metre , 268 km away from Gyirong from Via Saga. Saga is 10 km – 4hrs 30 minutes Journey Frm Gyirong . After arrival at Zongba ( 4600 M) , check in into Guest House/ Lodge on Sharing Basis. .
Note- The lodges and guest houses in Zongba are very simple and ordinary. After Breakfast, we will proceed for Lake Mansarovar , which is on altitude of 4700 Metre , 300 km away from Zongba, journey duration is approx 8 hrs . The Holy lake is relatively round in shape with the circumference of 88 kilometres on the Kora path (circumambulation path) and 320 square kilometers in total where the deepest point is 90 meter in the center part. Historically, the lake became holy in Tibetan society because mother of Lord Buddha took by gods to take a bath in the lake until all the sins washed away and purified the body totally, where she saw a white elephant running around the holy mountain (Kailash) as a significant that Buddha was in her womb.. Pilgrims walking around the holy lake takes four-five days to make up one full circumambulation, the reason for that they prefer to wash out all the sins and have some good fortunes in their life. As per Hindu scriptures, Lake Manas Sarovar is a personification of purity, and one who drinks water from the lake will go to the Abode of Lord Shiva after death. He is believed to be cleansed of all his/her sins committed over even a hundred lifetimes.Check in into Guest House/ Lodge on Sharing Basis. Notse- The Guest House/ Lodge in Lake Mansarovar are very simple and ordinary. •	Toilet & Shower Facility- Common..
Today wake up early in the Morning, will have Holy Bath in the lake and will Perfom worship of our Lord’s. 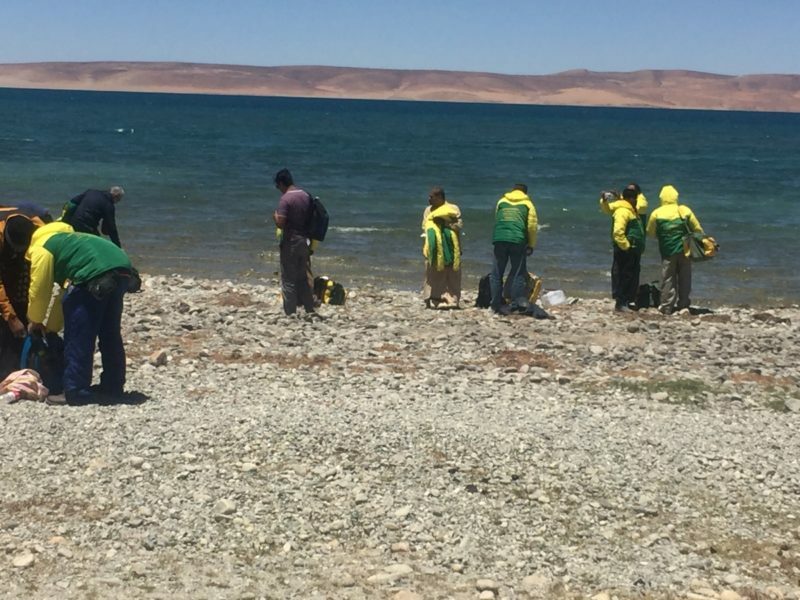 There after will take Parikrama of lake Mansarovar , which is approx 88 kms and after parikrama will proceed for Darchen , which is situated right in front of the sacred mountain, Mount Kailash. Its altitude is 4610 metres and is the starting point and Ending Point for pilgrimages in the region. It is approx 2 hours Journey from lake Mansarovar ( Chui Gompa) , approx 20 km from lake. Overnight stay in Guest House / Lodges/ on Sharing basis. Note- The lodges/Guest House and Tents in Darchen are very simple and ordinary. After Breakfast, Drive to Yam Dwar From Darchen , approx 10 km , Yam Dwar is Last point by Vehicle, At Darchen Public Security Bureau (PSB) officers are stationed from spring until October. 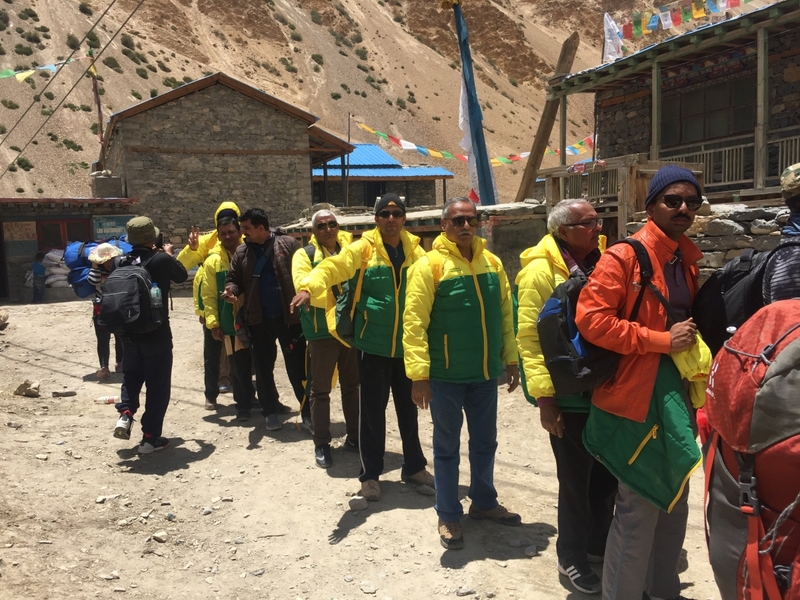 Yam Dwar is Point where you can start Trekking For Mount Kailash The path around Mount Kailash is 52 km long. . Pilgrims of several religions believe that circumambulating Mount Kailash on foot is a holy ritual that will bring good fortune. Past the Tarboche (Flagpole/ Yamdwar) to cross the Drolma pass (5,500 m), and encamping for two nights en route. First, near the meadow of Dirapuk gompa, some 2 to 3 km before the pass and second, after crossing the pass and going downhill as far as possible (viewing Gauri Kund in the distance). Trekking from Yamdwar to Deraphuk is 8 km .Overnight stay in Guest House/ Lodge on Sharing basis in Deraphuk. Note- The Guest House/ Lodge in Diraphuk Gomba are very simple and ordinary. Those Pilgrims, who are not interested to take Parikrama (Circumambulating) of Mount Kailash, Can Stay In Darchen for 3 Days without any Charges, Once other Group Member will come back, they can rejoin the group. •	Transport : You Can Hire Ponny/ Yak ( at your own Cost). After Breakfast, Again will Trek for Zuthul phuk which is located at lower altitude than Deraphuk so it is like that first we will have to trek upwards till Dro la ma Pass( 5500 M), which is approx 2-3 km from Dera phuk Gomba and from there will trek downwards till Zuthulphuk ( 4760 M) which is approx 20 km from Dro la Ma Pass. viewing Gauri Kund in the distanc. Trekking from Deraphuk to Zuthulphuk is approx 20 km. .Overnight stay in Guest House/ Lodge on Sharing basis in Zuthulphuk. Note- The Guest House/ Lodge in Zuthulphuk are very simple and ordinary. Note- The lodges and Guest House in Zhongba are very simple and ordinary. •	Transport : AC Luxury Coach (Ac subject to weather & Road Condition. After Breakfast, we will proceed for Gyirong, Arrive at Gyirong, . Check in into Guesthouse / Lodge on Sharing Basis. Overnight stay. Note- The lodges and Guest House in Gyirong are very simple and ordinary. After Breakfast, we will proceed for Dunche, Arrive at Dunche. Check in into Hotel. Overnight stay on Sharing Basis. Note- The lodges and Guest House in Dunche are very simple and ordinary. •	Transport : AC Luxury Coach (Ac subject to weather & Road Condition.). 389 travellers are considering this tour right now!